With beautiful beaches, stunning landscapes, historic ruins and a myriad of business opportunities, Mexico has so much to offer American vacationers and business travelers. Millions of Americans visit the country annually without incident, but, if you heed the most recent government warnings and data, you may want to think twice about heading south of the border. 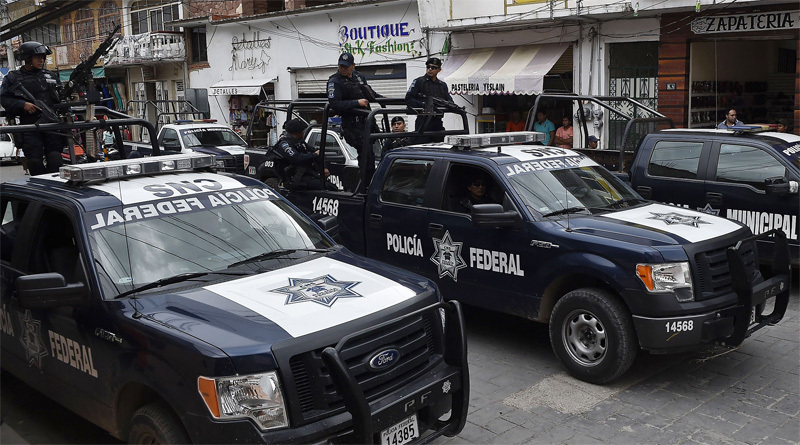 Advisories released last month by the U.S. State Department tell Americans not to set foot in five Mexican states — Sinaloa, Colima, Michoacan, Guerrero and Tamaulipas — because of violent crime. Traveling to those states is as dangerous, according to the State Department’s safety ratings, as traveling to Afghanistan, Syria and Iraq. And Americans with plans to go to 11 other Mexican states should “reconsider,” the agency says. Most recent State Department data may also cause travelers to pause before booking a trip to Mexico. In 2016, according to my analysis of the data, more Americans were reported killed by homicide in Mexico than the combined total of Americans killed by homicide in every other country abroad. More than 31 million Americans visited Mexico in 2016, the National Travel & Tourism Office says, and State Department data shows there were reports of 75 American homicide victims there. In comparison, 49 million Americans traveled to all other foreign countries, and 69 were reported killed by homicide. Of the five Mexican states that the State Department tells Americans not to visit, one, Tamaulipas, borders the USA. It shares a 230-mile border with Texas, and murder, armed robbery, carjacking, kidnapping, extortion and sexual assault commonly occur, the State Department says. Four of the 11 Mexican states that the State Department says Americans should “reconsider” traveling to — Chihuahua, Coahuila, Nuevo Leon and Sonora — border the USA. The other seven are Estado de Mexico, Jalisco, Morelos, Nayarit, Nuevo Leon, San Luis Potosi and Zacatecas. U.S. government employees are not permitted to drive from the U.S.-Mexico border to “the interior parts of Mexico with the exception of daytime travel on Highway 15 between Nogales and Hermosillo,” the State Department says. Such increased caution is advised in Quintana Roo state which includes popular tourist areas Cancun, Cozumel, Playa del Carmen, Tulum and the Riviera Maya. Mexican government statistics show an increase in homicide rates in the state last year, the State Department says. The Australian government also expresses concern about the safety of areas frequented by vacationers. The Canadian government says hotel employees, taxi drivers and security personnel “at popular tourist destinations” have physically or sexually assaulted foreigners. Be wary of beverages and snacks offered by taxi drivers, strangers or new acquaintances, because they “may contain drugs that could put you at risk of sexual assault and robbery,” the government advises.